Happy Memorial Day! I hope you are all having a safe and fun holiday weekend. Given the fact that this weekend signifies the official kick-off to summer, I thought I would start the week with this fun look from L'Academie. 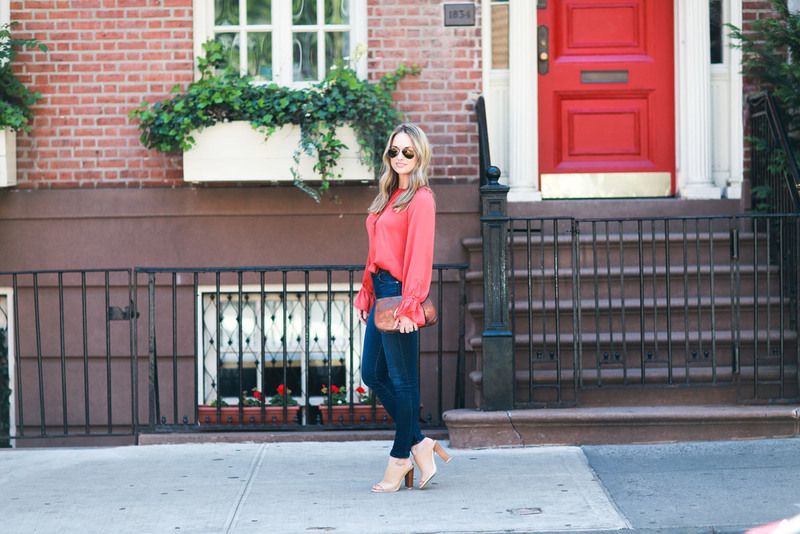 I love the bright red color and bell sleeves on this 70's inspired blouse. It is perfect for the weather right now as we transition from spring to summer. 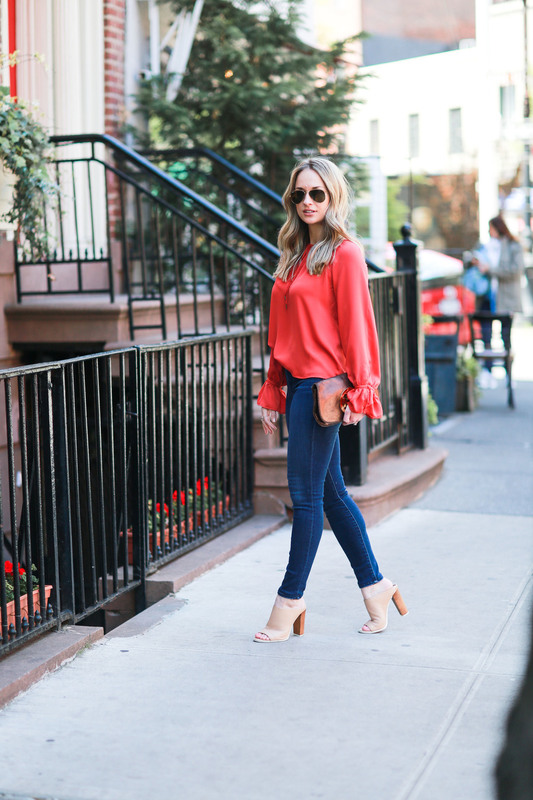 The bell sleeves are on trend and have just the right amount of flare. To modernize this look a little bit more, I paired it with my favorite skinny jeans from J Brand and Vince mules. The perfect outfit for going to lunch with friends or a casual dinner date. To shop this look, click the links above or below.